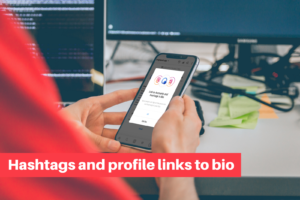 In most of social networks it is really easy to add links to your profile. Instagram is a special network with many exceptions though. 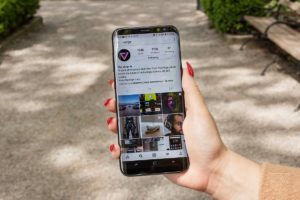 Until recently, the platform allowed to mention other users and to use hashtags only in comments under photos. Along with this, it was only allowed to add links to websites in profile descriptions. For users of this social network, the phrase "link in profile bio" has already become familiar. Fortunately, recently Instagram has pleased us with two new functions: clickable mentions and hashtags in profile description. 2. What hashtags to use? Click "Edit profile" at the top of the screen. In the "Website" section, add a short link to your site in yourdomain.com format. Click on the check mark in the upper right corner to save the changes. This is another tricky question. If you use hashtags with high popularity (frequency) and expect that they will promote your Instagram account, you got it wrong. In this case you are promoting your competitors. If you select using popular hashtags in account description, your users will follow the publications under this hashtag and see the publication of your competitors, many of which will inevitably be of better quality. Do not overestimate yourself! There is always someone who does the same thing better than you - and that's normal. It's rather not normal that you take the audience away from your Instagram account with your own hands. You do not need to be a super cool marketer to imagine a picture of further events. Potential customers looking for a product or service are highly likely to make a choice not in your favor. You will only help them by publishing a high frequency hashtag in your profile description. To avoid this, there are at least three technical solutions. You are finally thinking about creating your own unique hashtag that will work for your brand… This can be your last name, in case it’s rare. Also, it can be your last name plus the name of your activities that you are doing. In this case you already go beyond the Instagram and besides searching for your work on a unique hashtag, you will probably get traffic from browsers. Adding such a hashtag in your profile description, you will take all your potential customers to multiple media resources promoting your personal brand. Last name plus location are also a nice option if you work locally only in your area. This option is suitable for hairdressers and makeup masters, for example. You can also use the unique name of your company. Second nice solution is based on using unique hashtags for your account bio – it’s about collaboration between several accounts. Try it! It looks stylish, clear and meaningful. The third technical solution is more suitable for online stores with a wide range of different products. The problem many buyers face is finding a product on the website after they’ve seen its picture on Instagram. A link from the profile leads to the main page of the website, and in this case you will have to guess where that product comes from and you will need to go through the entire navigation chain on the website to find it. In addition, the product itself does not have unique sorting, neither by hashtags, nor by sorting within separate accounts, where you could already use links not to the main page of the site, but to the subsections of the site, where the product is located. In general, it is necessary to conduct a whole complex of measures for structuring and breaking down into product groups, but this is already a topic for a separate large article. 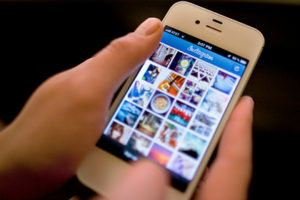 In this article, we wanted you to focus on using hashtags in profile bio as an effective tool. Also, make sure to use them correctly. 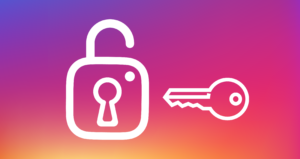 Many users do not use this tool at all in promoting their Instagram.